Jurassic World: Fallen Kingdom centres on questions of animal rights, genetic power, war mongering, responsibility, and more. So, if you’re in the universe of Jurassic Park and want to talk about things like that, really there’s only one person you call: Dr. Ian Malcolm, played by Jeff Goldblum. And that’s exactly what co-writer and producer Colin Trevorrow did. 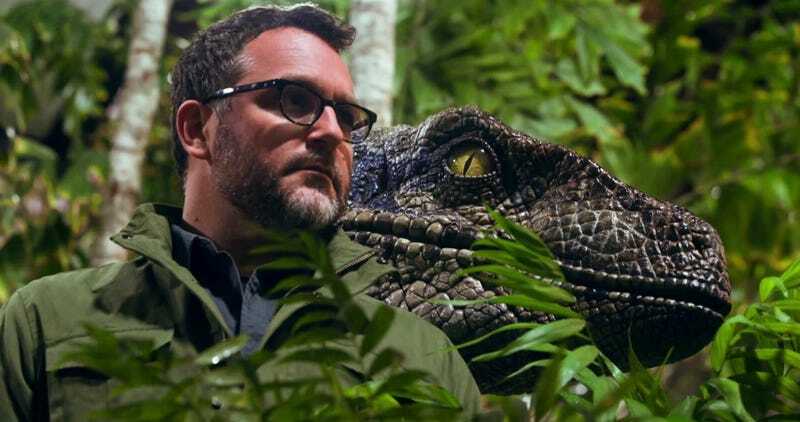 Colin Trevorrow with a raptor. Obviously, audiences were down and that plan was set into motion. However, a plan isn’t a script. Details, characters, and more all have to be carefully crafted. So as Trevorrow and Connolly set off to write what would eventually become Fallen Kingdom, they began with the big picture. To explain how Fallen Kingdom deals with those ideas, among others, would mean getting into spoilers from late in the film. Early on in the film, though, yet another idea was developed, one that came to Trevorrow and Connelly through the writing process. Blue the Raptor is back and it sure looks like it got off that island. Another thing that’s scary and fun in Fallen Kingdom is something executive producer Steven Spielberg has been wanting to put in a Jurassic movie for a long time. That changed on Fallen Kingdom. Spielberg got his wish. The mysterious house of John Hammond’s silent partner. 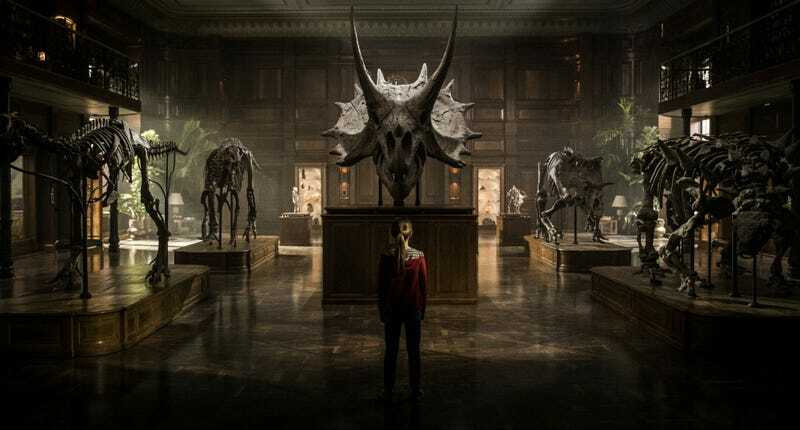 We’ll see more of those wondrous creatures and evil villains in the as-yet-unsubtitled Jurassic World 3, which is out June 11, 2021. After J.A. Bayona took the directing reins for Fallen Kingdom, Trevorrow will once again direct and co-write, this time with Pacific Rim Uprising’s Emily Carmichael. And while Fallen Kingdom certainly offers strong hints as to what that film may entail, Trevorrow offered a much less spoilery one.